Whether you’re planning a corporate event or a wedding, it can be a challenging task for even the most seasoned event planner. Choosing a catering service style is one of many aspects that requires consideration — especially when it comes to your budget and event size. 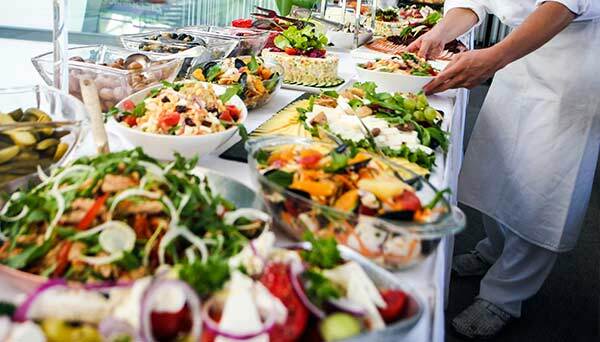 At The French Gourmet, where we have been managing large catering events for over 30 years, we take a lot of the stress off your shoulders and ensure your event is a blowout success! * Prices can vary a great deal depending on staffing requirements, the type of food, number of guests served, and flatware, china, glassware and equipment requirements.